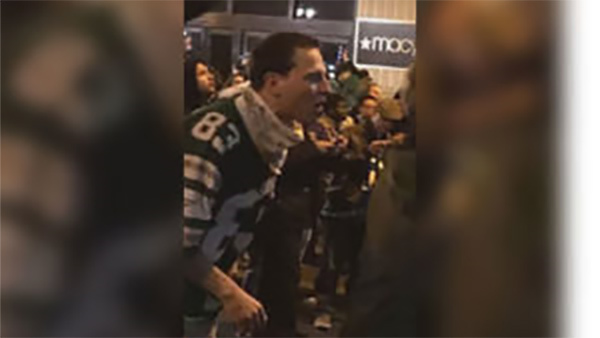 PHILADELPHIA (WPVI) -- Police say they are looking for the person responsible for breaking the window of a Macy's store during the Super Bowl victory celebration. It happened around 12 a.m. Monday when a large crowd gathered outside the store in Center City. The crowd became disorderly and someone broke the window to the Macy store, police say. Anyone with information about this crime or the suspect, please call Central Detective Division at 215-686 -3093/3094.